If you are someone who relies a lot on his cup of coffee every morning to wake up and get that boost of energy to work then this article is a must read for you. You see, you never know when your worst nightmare of a broken coffee maker comes true. Or there are chances that you are a minimalist and you like to keep lesser things or you just keep the things that you really really need and chances are that you actually don’t find a coffee maker necessary equipment. 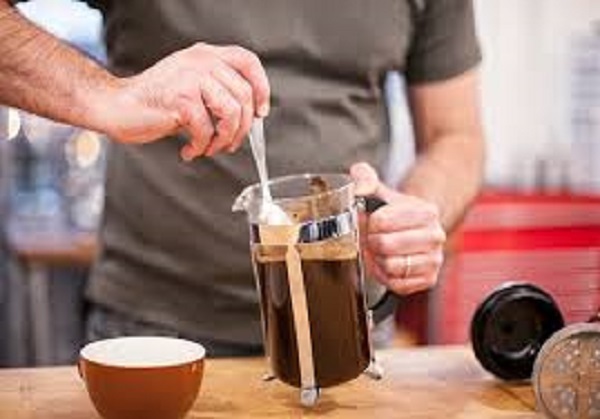 Well, if that’s the case then you can opt for two things, first, you can buy a cheap coffee maker instead of an expensive one and if you don’t like that idea then you can continue reading this article because today we are going to jot down some of the best ways to make a cup of coffee without a coffee maker. Probably the easiest and the most common way to make a cup of coffee without a coffee maker is to use the strainer method. For this, all you need is a saucepan to boil a cup of water and if you have the best convection microwave oven then yes, you can even boil your water in your oven. So, what you have to do is to boil a cup of water first and while that’s happening, you need to take another cup and put some coffee grounds in it. Once the water has boiled, you now have to put it in the cup with the coffee grounds and then stir it properly. Once done, you now have to let the coffee step for at least 3 minutes and after that, you just need to take a strainer and then strain that cup of coffee into another empty cup. This is it and now you can easily enjoy your cup of coffee that you made without a coffee maker. Another easy way to make yourself a quick cup of coffee, for the cowboy coffee, all you need is a pot, a stove, ground coffee and water. Now, what you have to do is to put a cup of water in the pot and put it on the stove. Turn the stove on and let the water boil a bit and then add the ground coffee in that boiling water and let it stay there for another 3 minutes. Once you see the water and the coffee mixing and blending with one another and once it all starts boiling and you get that sweet smell, turn off the stove and strain the content of the pot into another cup and enjoy that cup. For this, you need a paper filter, some ground coffee, some water, and a string to tie with the coffee bag. Now to make this coffee you first have to put the ground coffee into the filter paper and then tie a knot around the filter paper so that the coffee doesn’t come out of the bag and it doesn’t start floating on the water. Now in another pan, boil some water and put that water in a cup. Now, tie a thread with the coffee bag you made earlier and put that coffee bag inside the hot cup of water you just boiled. Now, let the coffee brew and drink it as per your taste. These are the three easiest ways to make a cup of coffee without a coffee maker. Don’t worry because all of these processes are very easy and you will probably have the same taste as the coffee like the one you have with a coffee maker.